Has there been a time you regret sending a WhatsApp message, and wish you can have it back? Yes, I guess you've had such experiences, but thanks to WhatsApp because you can now erase such messages within 7 minutes of sending them. This feature is called "Delete for Everyone". WhatsApp rolled out "Delete for Everyone" feature just to delight you, but the truth still remains that recipients and people that have access to your phone can still see the deleted messages. The above fact can be seen in WhatsApp updated FAQ page. Part 1: How Can You Read Deleted WhatsApp Messages Log? Part 2: How to Permanently Delete WhatsApp Messages? How Can You Read Deleted WhatsApp Messages Log? In the following paragraphs, we’ve outlined some detailed steps on how to read deleted WhatsApp messages on iOS and Android devices. #1. How to Read Deleted WhatsApp Messages Log on iPhone? There are two ways to restore and read WhatsApp messages log on iPhone; the one is iTunes while the Second is iCloud. To recover and read your deleted WhatsApp messages on iPhone through iTunes, you must first locate iTunes Backup File on your PC, then restore it back to your iPhone. Step 1 Launch iTunes and connect your iPhone to your PC/Mac using the USB cable. 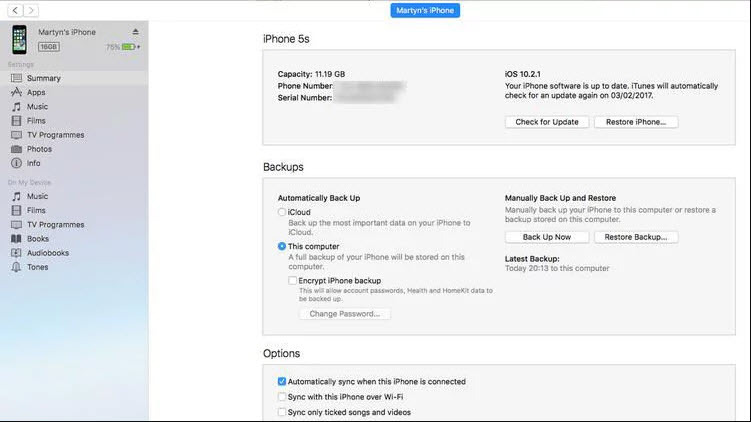 Step 2 Click on your iPhone icon that's appearing at the top left corner of iTunes window, and select "Restore Backup". Step 3 Select the recent backup file; this would contain your deleted WhatsApp messages. Click "Restore" button to finish the process. Note that this method is for those who regularly back up their files on iTunes. However, this method is subject to data loss, especially for data that you are yet to back up. #2. 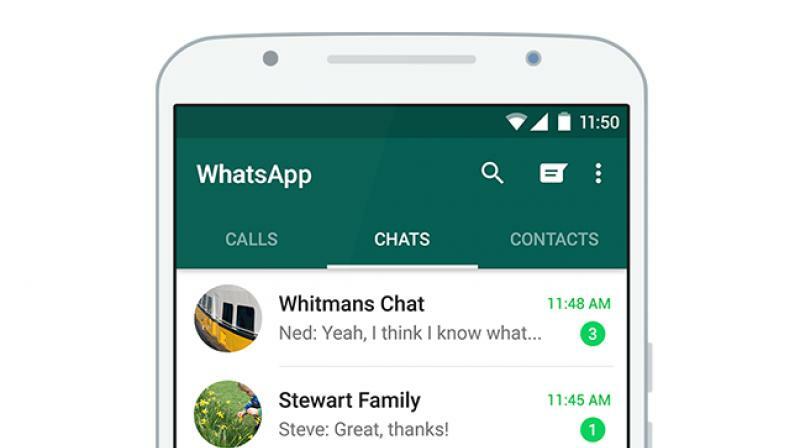 How to Read Deleted WhatsApp Messages Log on Android Phone? Step 1 Uninstall WhatsApp on your Android smartphone. Step 2 Locate your WhatsApp backup folder at "sdcard/WhatsApp/Databases folder", and find the file you would like to restore. The file should have a name like "msgstore-YYYY-MM-DD.1.db.crypt7" where "YYYY-MM-DD" is the date you made the backup. Step 3 Rename the file to "msgstore.db.crypt7". Step 4 Download and install WhatsApp from PlayStore. When asked to restore, click Restore. You'll now notice that your deleted WhatsApp messages log is now showing on your Android smartphone. How to Permanently Delete WhatsApp Messages? 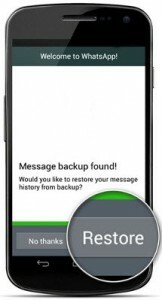 Your deleted WhatsApp messages are still on your smartphone because they were not rooted out from your backup files. But there is a way to erase them permanently from your iOS or Android devices. #1. How to Permanently Delete WhatsApp Messages Log on iPhone? If you've read deleted WhatsApp messages log, and you want to delete them permanently from iPhone to avoid leaking your private chats and messages, then you will need to have a powerful data erasure tool – iMyFone Umate Pro. Deleting WhatsApp messages from an iPhone may be a big huddle to many, but with Umate Pro, you can render your private data 100% unrecoverable. 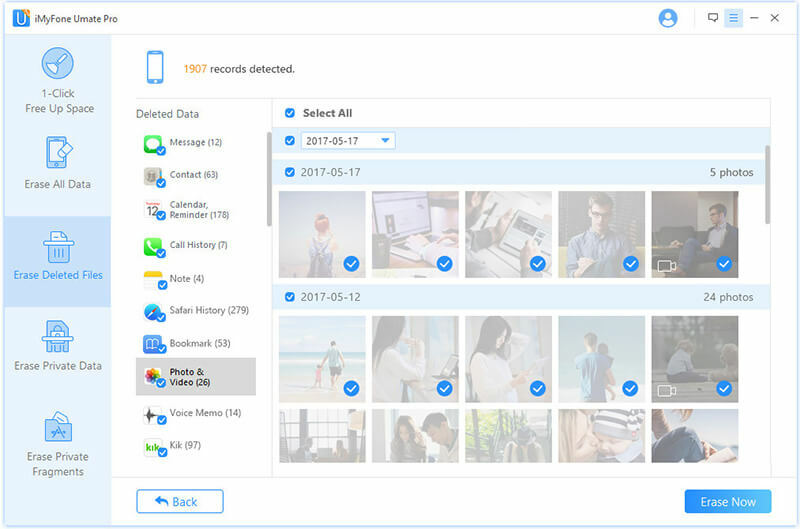 iMyFone Umate Pro is many things to a different grade of users, and it serves as the ultimate iPhone data eraser to users in need of data erasing tool. Umate Pro can permanently erase all private data generated from third-party apps like Whatsapp, WeChat, Kik, Viber, etc. and make sure that they can never be recovered. It works on all iOS devices. 100% wipe Out Third-Part App Data: Third-party apps and their fragments can occupy lots of phone storage memory. Hence, it’s right to wipe out these needless data and recover your storage space. Umate Pro offers this feature for every user. 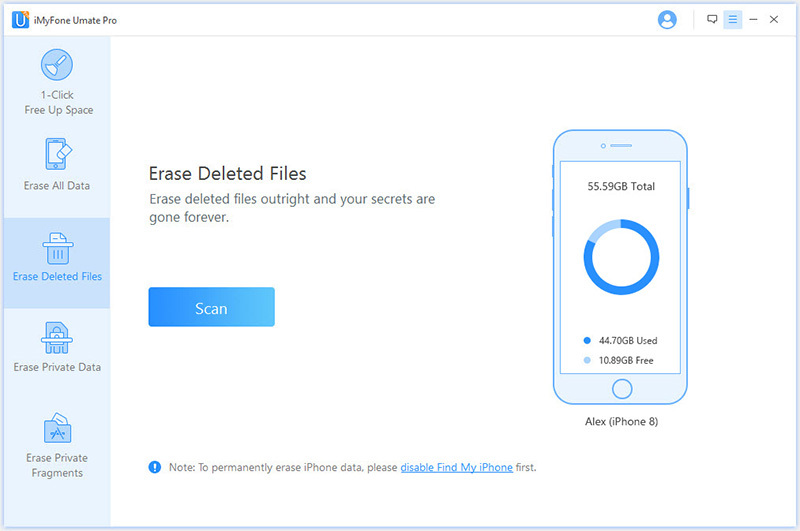 Erase Private Data: Umate Pro can restore full privacy on your iPhone in just 3 steps: scan iPhone, preview and select data, and 100% erase data. Scan and Erase Deleted Files: All deleted WhatsApp data and files that are still left in your storage files can be totally wiped out with Umate Pro to give no room for privacy leak. 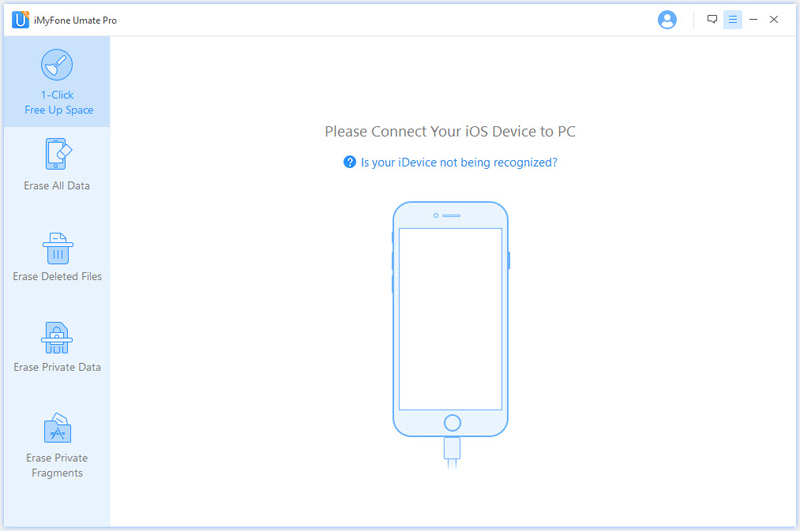 Step 1 Download and install iMyFone Umate Pro on your PC/Mac, and connect your iPhone using a USB cable. Step 2 Click "Erase Deleted Files" tab from the Erase Mode menu at your left hand. Then click "Scan" tab, and Umate Pro will scan your iPhone for deleted files and data which may include deleted WhatsApp messages. Step 3 Preview through the records detected and select the files to totally wipe out. Click "Erase Now" tab and choose a security level. Then confirm by clicking "Erase Now" button again. At this point, all your deleted WhatsApp messages will be permanently wiped out. Note: Before erasing data on your iPhone with iMyFone Umate Pro, please make sure "Find My iPhone" is disabled. #2. How to Permanently Delete WhatsApp Messages Log on Android Smartphones? Step 1 Uninstall WhatsApp from your Android Smartphone. Step 2 Open file explorer and search for a folder named "WhatsApp". Step 3 Delete the folder, and your chats and history will be deleted. Step 4 Reinstall WhatsApp on your phone. In all, we’ve established the fact that you can read your deleted WhatsApp messages log, and we also shared how to achieve this on iOS devices and Android smartphones. One thing we would like you to always remember from this article is that “there is a need to erase deleted WhatsApp messages from your iPhone using a powerful data erasing tool – iMyFone Umate Pro”. This app would help to keep your privacy secure.